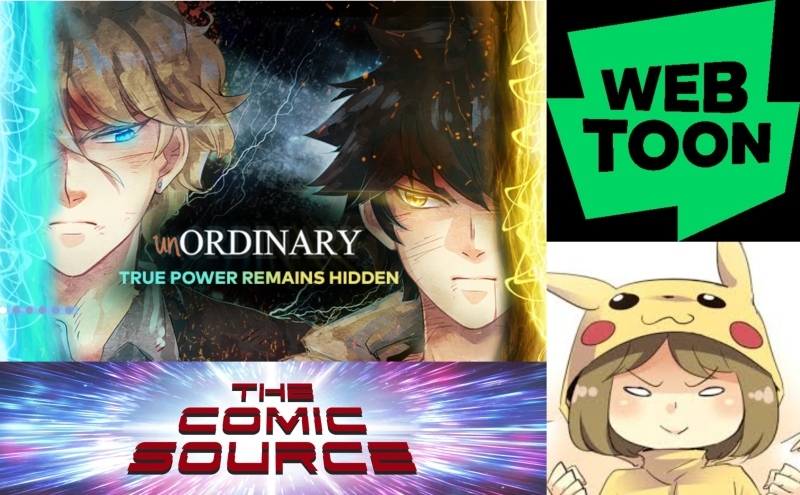 Jace sits down with the creator or unOrdinary, Uru-Chan as they chat about the themes to be explored in the series, the have’s & the have not’s of the story and Uru-Chan’s origin with Webtoon. Why did you choose high school as a setting? What are some of the themes you are exploring in the story? The idea of those that “have-not” are somehow less is a very topical current idea. Did you have any idea how relevant it would be when you started the story? There is also the idea of identity and discovering who you are, a very adolescent journey. Did you purposefully set out to have diverse archetypes to explore this idea with? Did you dial in the look right away or did it take you awhile? Tell us about the power pentagon, it’s such a great way to ‘meet’ the characters of the story. At times I almost get an RPG video game feel from the story, Final Fantasy maybe. Did you draw any inspiration from those games? Getting back to themes to explore, another idea i got from the story as it progressed is to never underestimate people, because they can surprise you. Is that idea a personal one for you? Right from the start it seems that despite any failings he or others think he has John has a great sense of self-worth. Was that something that was inherent in the character from when you first conceptualized him? Reaction to the series in the beginning? Now? What would your advice be to someone looking to try out the Discover platform? How about some tips on growing your audience once you have your creation out in the world? What has the community of fans been like? How about the experience of meeting other Webtoon creators? Webtoon is the #1 digital comics app, averaging more than 50 million monthly active users, with north of 10 million daily readers – more people read webtoons in one day than watch most television shows. Founded by NAVER Webtoon in 2004, Webtoon became a cultural phenomenon and pioneered the distribution and consumption of web-based comics – webtoons. Launched stateside in 2014, Webtoon has thousands of creator-owned titles with episodes updating daily. Webtoon features a broad and diverse catalog of content – including fantasy, romance, sci-fi, LGBTQ, and more. The Webtoon app is free to download on Android and iOS devices. The content is free and downloadable, for reading when offline. Webtoons take advantage of smartphone user scroll behavior as a benefit to the method of storytelling. Webtoon is always working to enhance the user experience with technology – including enhanced FX Toons, which allow creators to include music or animation in their Webtoon to benefit user immersion. Webtoon boasts partnerships with Legendary, Lucasfilm, Stan Lee, Top Cow/Image, and more. Webtoon takes the comic experience to the next level by providing readers with daily curated content and giving creators an intuitive platform designed to help them easily publish and publicize their own original comics. Webtoon creators have been nominated for multiple Eisner Awards, as well as winning a multitude of Ringo Awards – including seven in 2018. Webtoon is available on iOS, Android, and desktop.